Joshua Courtade is a prolific writer, director, producer, actor, photographer, and instructor from Grand Rapids, Michigan, who began making movies with his parents' clunky VHS camcorder when he was eleven years old. He later graduated from Grand Valley State University with a BA in Writing. He also attended Compass Film Academy (now Compass College of Cinematic Arts), followed by Act One's intense summer Screenwriting program in Los Angeles. All the while, Joshua cranked out one short film after another. Quite a few of his short films – including Vanishing Act, Defector, I Denti (The Teeth), Mugs, Neurotica, Neurotica: After Dark, and Donald – have been selected to play at prominent festivals including the East Lansing Film Festival, the Grand Rapids Film Festival, the Michigan Film Festival, the Made-in-Michigan Film Festival, the HollyShorts Film Festival, the Chiaroscuro International Film Series, the Blue Water Film Festival, the Uptown Film Festival, and the Short Film Corner at the Cannes International Film Festival. His feature screenplay Superego placed in the top three at the 2008 Waterfront Film Festival screenplay competition. In 2011, after a number of festival screenings, Joshua's short fantasy/dramedy Playing House (created in collaboration with production designer Diane Kowalski) was nominated for awards in five categories at the Detroit Independent Film Festival/Uptown Film Festival, including Best Michigan Short Film and Best Short Screenplay. The film won for Best Actress in a Short thanks to the excellent lead performance of Rachel Clare Higgins. Joshua's campy Internet serials featuring intrepid adventurer Hank Danger have been growing in popularity since the character's debut in 2008. Joshua has been nominated for an award in the category of Best Direction at the 2012 Blue Water Film Festival for his work on the first Hank Danger short film, Hank Danger and the Woman From Venus! That particular film also received a 2013 Eclipse Award for Production Excellence in the Film & Video category. 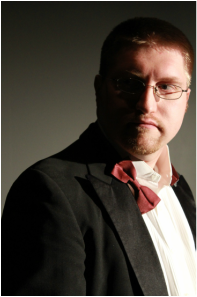 His short film Vanishing Act (produced by Liz Merriman) has played at numerous festivals and has won several awards. At the 2013 Blue Water Film Festival, Chris Porter won the Best Soundtrack award for his beautiful score for the film, and a few weeks later at the Made-in-Michigna Film Festival, the film took home awards for Best Cinematography (Noah Sampsel) and Best Lead Actress (Charly Bivona). In January 2012, Joshua and his writing partner Ryan Leeder signed an option agreement for their feature screenplay The Boiling Point. The project is still in development. Joshua's first two feature films, Black Paper and Twenty Years Later, are currently in various stages of distribution. His third feature, Alone in the Universe, wrapped production in August of 2014 and is now in post-production. He's developing several other feature films that he intends to direct in the near future, including a campy 1950s-style werewolf comedy called That Time of the Month, which is being produced by Evan Koons through Atomic Werewolf Pictures, LLC. 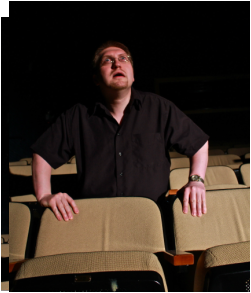 Joshua is a board member of the Grand Rapids Comic-Con, for which he also coordinates a film festival. He currently teaches writing, directing, and producing at Compass College of Cinematic Arts, where he continues to impart his love for cinema to new generations of filmmakers. Watch his current reel here or below.